We featured the game changers, local heroes and rebels; the women (and men) working hard to change the world. And all of this had a TEDx twist – falling into one of the TEDx pillars: Technology, Entertainment, Design, Global issues, Business, Art & Music, Science or Sustainability. Eva Cleven is a radio DJ & presenter. Currently, she is a DJ at FunX, with her own show on Friday and Sunday afternoon. She is also a presenter for NTR’s Het Klokhuis. In 2016, Eva won the Philip Bloemendal prize for upcoming journalistic talent and in 2017 she won the Marconi Award for Upcoming Talent. She was also a finalist in It Takes 2, a competitive singing show. Eva looks at the world through rose-colored glasses and wants to try everything once, including joining us on our Pitch Night stage. 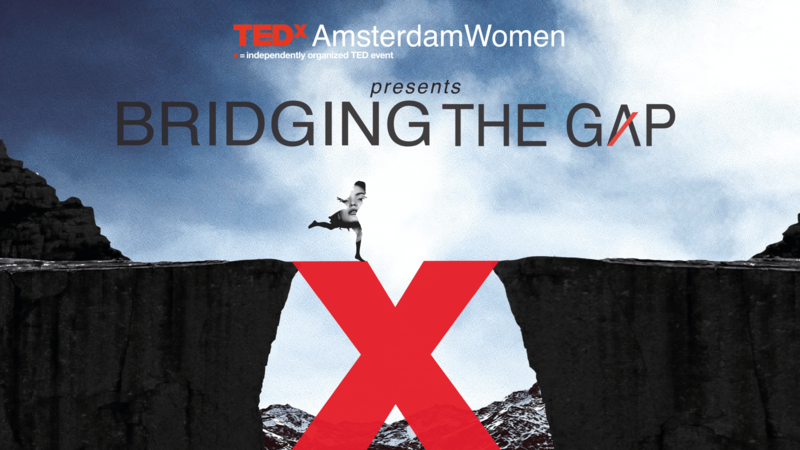 The ideas heard about on the stage centered around our theme – ‘Bridging the Gap’. We’ve selected ideas that bridge the gap in some way – addressing taboos, solving problems creatively or bringing people together. 10 applicants were selected to pitch their ideas in just 3 minutes at our Pitch Night event on November 9, 2018. We selected ideas that Bridge the Gap in some way – addressing taboos, solving problems creatively or bringing people together. Pitch Night included an audience and jury, and two winners were selected at the end of the night. 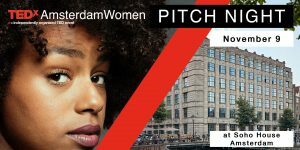 The winners will receive one-on-one presentation training with a speaking coach and will get to present their pitch at the main TEDxAmsterdamWomen event in December. Find out which ideas stole the show at Pitch Night!